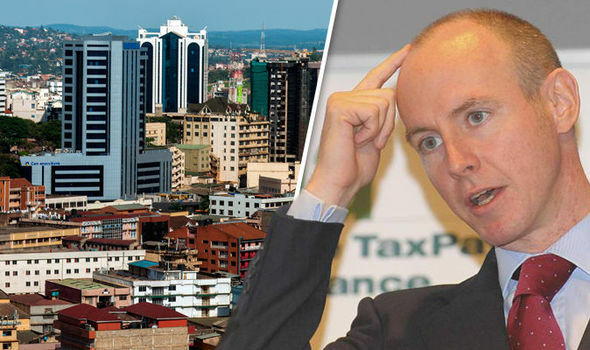 AFRICA will benefit from Brexit due to creative, mutually-beneficial trade deals, Daniel Hannan has predicted. The MEP said support for Britain leaving the European Union is surging in Africa, where regulations from Brussels are wildly unpopular. He said EU tariffs imposed on, for example, tomato sauce but not on tomatoes themselves reduce the opportunities Africa has to trade successfully with Europe. Instead, African countries are forced to export basic ingredients, losing out to more lucrative products due to the cost of exporting them. With Britain laving the EU, African states will enjoy a greater variety of what it can export to the country. In exchange, the UK will benefit from cheaper food, something Mr Hanna said will boost the economy as a whole and help poorer people in particular. Writing for the Telegraph, Mr Hannan said the Brexit tide had long since turned in Africa. He said: “The further you travel from Brussels, the likelier people are to see Brexit as an opportunity. “I’m in Kampala [in Uganda], discussing post-EU commercial prospects with business and political leaders from across East Africa. He blasted the EU for treating Africa “as an economic colony” and said Brexit would help boost Africa’s trade. Mr Hannan said: “Brussels applies tariffs to tomato sauce, but not to tomatoes; to chocolate, but not to cocoa beans; to roasted coffee, but not to green coffee. He said Britain would then benefit due to cheaper food – something he said would help out poorer families above anyone else. Mr Hannan concluded: “Cheaper food would boost our entire economy, freeing up spending power. “But the biggest winners would be the poor, who spend the highest proportion of their income on groceries.